I had the pleasure of interviewing Yonason Goldson, director of Ethical Imperatives, LLC, and author of Proverbial Beauty: Secrets for success and happiness from the wisdom of the ages. 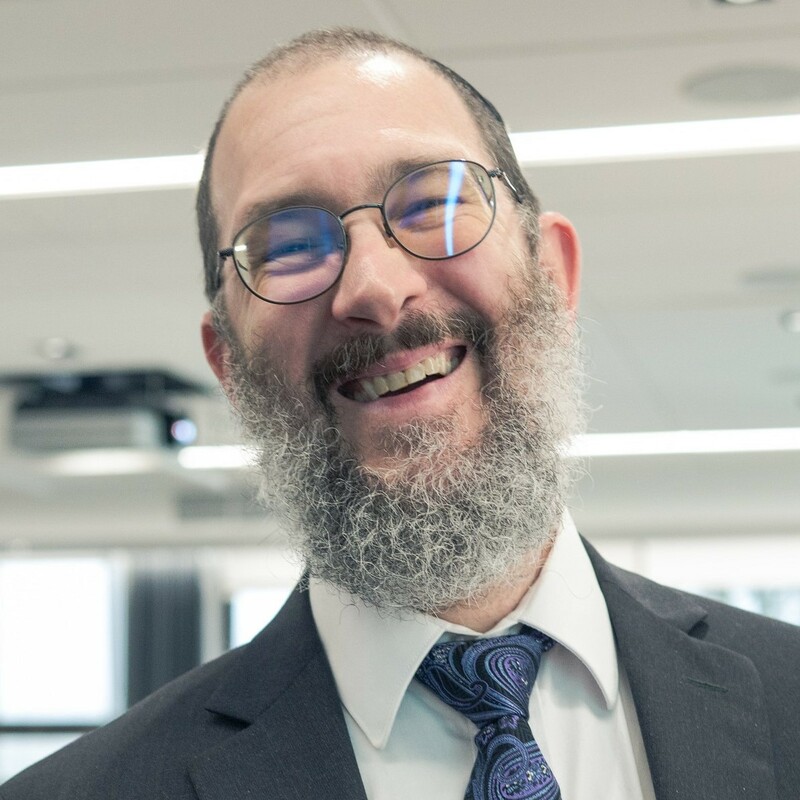 He is an ethics coach, strategic storyteller, TEDx speaker, and community rabbi in St. Louis, as well as a recovered hitchhiker and circumnavigator, former newspaper columnist, and retired high school teacher. His most recent book is Fix Your Broken Windows: a 12-step system for ethical affluence. I retired from teaching high school in 2016 after 23 years in the classroom. Over the course of my career, my students regularly challenged me to demonstrate the relevance of 3000-year-old wisdom to contemporary life in the modern world. On a trip to NYC in 2015, I felt the urgency of that challenge in way I never had before. Whether the architects of the memorial intended this as a biblical resonance I cannot say. But those three words are so much a part of Jewish tradition that for me they forged a connection between the fate of the twin towers and the relentless anti-Semitism that has hounded the Jewish people for millennia. Who was Amalek? The first terrorist nation in recorded history, the first people to wage war against the nobility of the human spirit based on an ideology of moral anarchy and hate. My handkerchief was damp before I left the museum. The magnitude of the destruction perpetrated by unadulterated evil was overwhelming. If we don’t fight against it, we become party to it. If we don’t acknowledge it for what it is, we allow it free rein. And yet every visitor will leave this hallowed place and promptly lose himself in the vanities and trivialities of everyday life… myself included. But this was only the first part of my New York epiphany. The second would come a few days later, when my wife led me into Federal Hall. The site of George Washington’s inauguration provided as emotional an experience as the 9/11 museum. Here was a shrine to visionary ideology, not distorted into evil but elevated to the highest imaginable strata of human aspiration. Here, a fledgling nation conceived in the minds of practical dreamers took its first, unsteady steps toward the lofty goals of justice, virtue, and equality before the law in a true meritocracy. Here, the noblest impulses of man forged a society out of shared values that had never been applied, never been attempted, never been imagined beyond the musings of Utopian fantasy. The obstacles had been myriad and megalithic. The chances of success had been spare. The need for compromise and cooperation had required superhuman resources of selflessness, humility, and a sense of common purpose. The collective will to succeed in their grand vision was the bond that empowered them to overcome their differences, and the resourcefulness born of desperate times guided them to find solutions to their most intractable problems. And if our democracy today is slipping into a sad shadow of what it was conceived to be… well, it still stands alone in the world as a symbol of the ideals and the responsibilities of freedom. Vision and ideology — the sources of unimaginable heroism and of monstrous evil. This is what we must remember. This is what we must never forget. It’s easy to lament the fractured, polarized, and ideological partisanship that divides the nation and the world, and the groupthink that erodes all interest in civil discourse and the quest to find common ground. It’s easy to blame those on the “other side,” or to shake our heads and give up. But we have a moral obligation to do all that we can, and the need is more pressing than ever to bring to the world the lessons of peace and cooperative spirit rooted in ancient wisdom. If I can teach the professional and business world how the principles of ethics increase engagement, collegiality, and profitability, perhaps some of the benefits of ethics will spill over into society at large. Perhaps that will help the pendulum begin to swing back from partisanship toward partnership and restore the forgotten moral imperative of ethics as the foundation of freedom. We have little control over the events that happen to us. We control the choices we make, but not where those choices will lead us. We can study and train and plan and prepare, but unforeseeable circumstances beyond our control might sabotage our success. If we abandon ourselves to fate, or if we indulge the fantasy that we are its master, we make our happiness dependent on the outcomes we desire. But if we define the value of our lives by the ethical sincerity and moral discipline of our choices, then we create for ourselves a purposeful existence that is its own reward, regardless of outcome. The refinement of our speech, the integrity of our actions, the loftiness of our thoughts and ideals, the consideration we show for friends and strangers alike, the commitment to bring good into the world no matter how inconvenient, the willingness to hear and try to understand those with whom we disagree — these are the goals that characterize a life of purpose and meaning. Did you ever wonder why training sergeants in the military don’t remove the obstacles from obstacle courses so their trainees can complete the courses faster? Of course, you didn’t. We all understand that the purpose of the course is not speed but learning how to negotiate and overcome obstacles. That’s how we grow, become strong, acquire determination, learn independence, and gain the confidence to wade into battle. We should view life as an obstacle course, a training exercise that enables us to become all that we can be by the time we reach the finish line. When we do, we stop looking for ways to eliminate obstacles and appreciate the opportunity they afford us to fulfill the potential with which we were created. The self-knowledge that we are fulfilling our potential is the source of happiness. When I was ten years old, my mother disappeared from my life. She re-appeared two months later; but in many ways, it was too late. The hospital admitted her to have a benign tumor removed, and everything went well… until it didn’t. Her fever spiked the night she came home. I woke up to the sound of medics in the house. The next morning, I woke up to find her gone. The doctors diagnosed her with consumptive coagulopathy, now known as disseminated intravascular coagulation (DIC). It’s sort of the opposite of hemophilia: the body’s clotting mechanism accelerates until the victim’s blood turns into sludge and refuses to circulate. My mother was the sixth case at UCLA medical center. The first five had died before any course treatment could be determined. Every doctor gave up all hope for her survival, except for one heroic internist. His efforts saved the life of my mother, who turned 90 this summer. But my life would never be the same. Counseling and therapy were not common half a century ago, and the term PTSD had not yet been coined. By the time my mother returned home, my personality had morphed from happy and outgoing to withdrawn, moody, insecure, pathologically shy and, for a brief time in junior high school, suicidal. My first semester in college I studied Jean Paul Sartre. I’m not as enamored with his ideas now as I was then, but the underlying premise of his existentialist outlook was exactly what I needed to hear: existence precedes essence. First, we are. Then we are who we are. In other words, we can define ourselves. We don’t have to be held prisoner by our genetics, our past, or our circumstances. Of course, it’s not nearly that simple. But as an emotionally dysfunctional college freshman, I found the message electrifying and empowering. I took back control of my life. I began to come out of my shell. Gradually, I left much of the past behind. Over time, my own metamorphosis fashioned the message I try to share with others. The most effective way for us to improve the world is to be the people we have the potential to be. The more effort we put into becoming the kind of people the world needs, the more we may inspire others to set the bar higher for themselves. The more the people around us expect more from themselves, the better place the world becomes for all of us to live together. I can’t imagine a better formula for being happy and spreading happiness. Our biggest obstacle in achieving happiness is that we don’t define what the word means. We make constant reference to “the pursuit of happiness,” but if we don’t know what we’re pursuing we have little hope of ever catching it. Too many people mistakenly conflate happiness with pleasure, assessing themselves as happy if they are able to wallow in self-indulgence and self-gratification, if they have what they want and can do what they want. Simultaneously, people who perceive that they have every reason to be happy can’t understand why they feel unfulfilled. This is why the pursuit of happiness often results in depression. When pleasure becomes life’s goal, it may distract us momentarily from our default state of unhappiness, but the feeling of emptiness returns with a vengeance as soon as the moment of pleasure has passed. Do you remember Edward Arlington Robinson’s poem “Richard Cory”? A person whose primary goal is pleasure can’t escape the feeling that his life doesn’t matter, which destroys his own sense of self-worth. Such a person is incapable of feeling gratitude, since he doesn’t believe that he deserves what he has or that he will use what he has productively. He feels entitled to whatever he wants and resentful that he is not satisfied with what he has. There’s a name for this condition; it’s called misery. A 3-to-5-minute-long morning ritual of reciting a detailed list of all we have and all that is good in our lives clicks on switches in our brains, inhibiting the power of inconvenience and disappointment to consume us while reminding us to make ourselves worthy of the blessings so many others are denied. It’s tempting to believe that having thousands of followers and a global platform is the way to change the world for the better. But every stone we cast into the waters of society sends out ripples, and we never know where they will go or whom they will touch. However, every once in a while the currents of time and space carry our messages back home. Or the time I was walking down the hallway of a public high school and saw one of my articles pinned up on the bulletin board. For every ripple that returns to our shores, there are countless more we never know about. My own talent enables me to articulate ideas that inspire others. But each of us has his or her own unique ability to benefit the lives of other people. And if each of us brings joy or consolation to just one other person, is that not enough to make our time in this world worthwhile? There are more than half a dozen words for “joy” and “happiness” in Biblical Hebrew, and none of them is a true synonym of any other. Exploring the etymology of each offers a variety of strategies for acquiring the mindset that leads to happiness. Simkha. Phonetically related to tzemikha, which means to sprout, this word for happiness alludes to the first steps of growth, breaking out of the shell or husk, or breaking through the soil into the sunlight; the feeling of birth or rebirth, the initial feeling of independence and forward motion, of reaching for the heavens and envisioning how the highest heights might ultimately come within your grasp. Mindset: Breaking out of your comfort zone isn’t just a cliché; it’s the very definition of living. Growing pains are supposed to hurt, because everything worthwhile has a cost, and the greater the value the higher the price. Embrace every challenge and revel in the joy of stretching yourself beyond your imagined limitations. Sasson. To blossom or come into bloom, which is to say the moment approaching the fullness of maturity; once the flower has completely opened, there is no more opportunity for growth. The instant when the completion of purpose becomes reality is intensely joyful, in contrast to the moment after completion when the absence of purpose produces a sense of deflation. Mindset: Think of sitting down for a meal. If you’re too hungry, you wolf down your food without savoring it; if you’re satiated, you don’t want to eat at all. Look for the point of balance where you can glow in the warmth of past success while still looking toward new frontiers that lay ahead. Ashrei. Literally, forward progress; the grammatical root translates most familiarly as the prepositional object that, which introduces a new outlook on an already familiar subject. This simple transitional pronoun conceals an illuminating philosophical truth: wisdom is achieved by expanding one’s perspective, perceiving reality from a variety of different angles. How can we know nature without the relentless study of biology and chemistry and physics? How can we understand the human condition without an appreciation of psychology and anatomy and history? The accumulated knowledge of the world, filtered through the discipline of cultivated wisdom, brings our existence into focus in a way that produces perpetually deepening insight and yields an ecstatic celebration of the mind. Mindset: Don’t be afraid to revisit your most closely held beliefs. It may be hard to contemplate changing your assumptions and attitudes, but would you rather persist in philosophical myopia and ideological astigmatism? The more clearly and completely you see the world, the more secure and confident you become in your world view. And that should make anyone happy. Gilah. From the root meaning to roll or swirl; also, a variant of the word for wave. Think about an ocean wave that rolls along for miles with exactly the same shape but made up of ever-changing particles of water, or a swirling funnel of water going down the drain. Each is a model of what is called a dissipative structure — it maintains its form while new constituent parts continuously replace old ones. Tornadoes and hurricanes evidence the awesome power such phenomena may contain. A human being is also a dissipative structure. Every few years, each cell in our bodies is replicated and replaced. The awareness that we live in a perpetual state of recreation, and the nearly limitless potential that implies, should be a source of unbridled joy. We are not meant to be exist but to evolve, improve, and move forward even as we remain ourselves. Mindset: Don’t think about changing, but becoming a better version of your own unique self. Visualize your life the way Michelangelo visualized the subjects of his sculpture — their images were waiting inside the marble for the creative vision that would reveal them to the world. Rinah. To exalt, to express joy through song. Do you remember Julie Andrews in the opening scene from The Sound of Music? Surrounded by a vast expanse of natural beauty, she spontaneously bursts into song; she simply can’t help herself. When we experience the joy of true wisdom, we can’t contain ourselves; the feeling of elated enlightenment erupts from within us as an expression of intellectual harmony, heralding our conviction that all is right with the world. Chedva. The joy of achieving oneness. We live in isolation, all of us trapped within our own prisons of flesh-and-blood. We can connect with another momentarily through sensual conjugation, but that is fleeting, like all physical pleasure. In contrast, when we achieve a fusion of mind and heart, that is real, joyful union. That is the essence of love. Mindset: Love and friendship require the investment of time, effort, and commitment. When you find people whose character and worldview you admire, engage them through the substantive exchange of ideas and creative energy. By doing so, you will form lasting relationships that are the source of everlasting joy. To establish such connections with others is to expand your sense of self, to become more than you can be as an individual and to increase your positive influence on the world around you. But beware of connection for the sake of connection. Movements like communism, fascism, and nationalism have all gained adherents by attracting people who long for belonging, as have violent street gangs and vapid feel-good groups. Invest your time and thought in people and ideas as cautiously as you invest your money, and you will reap returns for a lifetime. Challenge, growth, progress, renewal, articulation, and connection. Together, these describe the elements that naturally produce a life filled with exultant happiness. Generation to Generation by Abraham Twerski. A delightful collection of memoir and folktales, wit and wisdom. Hasidic Tales of the Holocaust by Yaffa Eliach. Extraordinary stories of human spirit prevailing over suffering and good transcending evil. Give ’em Hell, Harry by Samuel Gallu. The life and times of an authentic American icon. The Elegance of the Hedgehog by Muriel Barbery. In a world overrun by foxes, a charming interlude in the company of hedgehogs. The Giver by Lois Lowry. Life without pain is life without color and without love. Casablanca. Hands down the best movie ever made; the story of a disenchanted idealist who finds redemption. “Me” in the verse is Wisdom. Every time we pass through an intrapersonal transition point — a new doorway — by gaining deeper insight about ourselves and our world, we are inclined to congratulate ourselves with sophomoric arrogance and assure ourselves that we have no further need for enlightenment. But happy is the one who waits by wisdom’s doors — not door — keeping watch for each new opportunity, seeking each new door within, the next entryway to deeper wisdom, and the next, and the next after that. When I was 24 years old, I came face to face with a new way of looking at my existence that atomized all my assumptions and preconceptions about the purpose and meaning of life. I went through agonizing reappraisal, ultimately accepting the need to dismantle the philosophical infrastructure I had constructed and start over from square one. I halted my second trip around the world and embarked on a journey of the mind that took me 3000 years into the past. Since then I have made a continuous effort to engage people who make me think about the world in new and different ways, to try to understand their point of view even if I don’t travel the road they’re on. And that has made all the difference. My new project is to work harder and better at my old project. The essential values of ethics, civility, and intellectual diversity have fallen victim to a culture of groupthink; moderates are persecuted as renegades; and reason is abandoned in the name of ideological purity. Politics has devolved into reactionary blow and counterblow from each side, with little sincere effort to reach across the aisle and fear of excommunication for doing so. The one universal is money. The more society cultivates an awareness that ethics and civility are profitable, the greater the hope of establishing a kind of fifth column movement to erode partisanship and ideology from within. Either way, such awareness will provide a dramatic change in the quality of life for those who benefit from its influence in the workplace and apply its principles to enhance all their relationships. The topic of my TEDx talk (which still has not gone live… grrr!) is what I call Ethical Communication. It is the opposite of groupthink, the greatest enemy of intellectual diversity. Open-mindedness does not mean accepting every belief as valid. Open-mindedness means accepting the possibility that truth may lie in unexpected places, and accepting the possibility that my perception of truth may not be infallible. Oddly enough, that acceptance makes us more, not less, secure in our own beliefs. Why not? Because he knows not only what he believes, but why he believes it. If I can’t explain why you believe what you believe, how can I be sure you’re wrong? And if I can’t articulate why you might reasonably disagree with me, how can I be sure I’m right? First, we have to establish credibility. We have to be able to articulate our point of view in a language others can hear even if they haven’t already bought in to what we believe. Second, we have to establish trust. We do that by articulating back to others what they believe so they know that we’ve heard them and understand where they are coming from. Third, we have to demonstrate integrity. That means acknowledging truth wherever we find it — even if it’s a truth we don’t like, even if it’s a truth we don’t want to hear. Fourth, we have to demonstrate consistency. That means rejecting double standards. We can’t condemn behavior from people on the other side and then give a pass to people on our side when they do exactly the same thing. And finally, we have to show a little humility. That means we have to continually revisit our beliefs so we never forget why we believe them, so we never allow our principles to devolve into dogma. Communicating ethically makes us secure enough and open-minded enough to be able to engage people with different labels. By doing so, we can find common ground and work together seeking solutions to our common problems, of which we have so many.